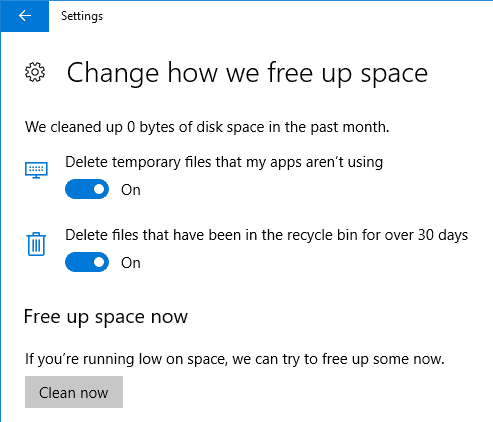 Windows 10 Creators Update is introducing a new feature that could replace disk cleanup utilities like my favorite CCleaner. In all modern versions of Windows, Microsoft has included a Disk Cleanup Utility, and the only way to automate cleanup was to use Task Scheduler to create scheduled tasks. While it worked well once you configured it, most consumers aren’t aware of Task Scheduler or how to use it. 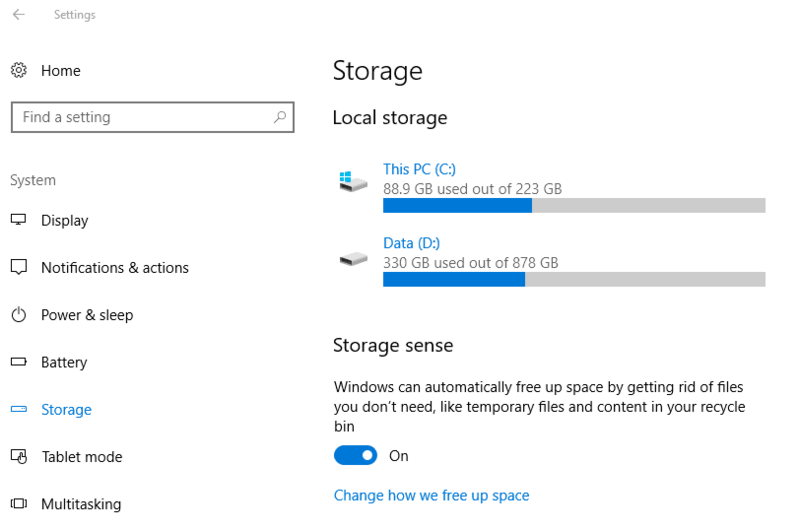 The Windows 10 Creators Update will include a feature within Storage Sense to automatically free up disk space. Open Settings and head to System > Storage and toggle the Storage Sense switch to On (it’s turned off by default). See the screenshot above. To tweak which files are deleted, click the Change how we free up space. Then you can set it to delete temp files but not the Recycle Bin or vice versa. Here you can also click Clean Now to clean temp files and files older than 30 days in the Recycle Bin. See the screenshot above. Storage Sense will keep track of how much space has been cleaned up each month and you can see that at the top of the screen.